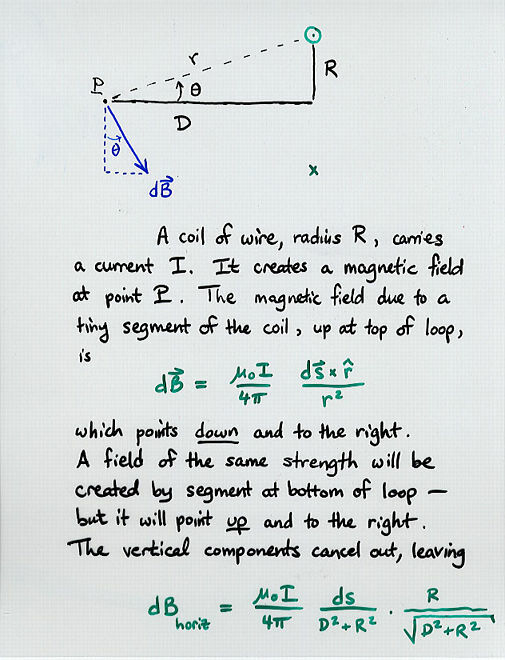 This lecture is based on HRW, Section 30.4. 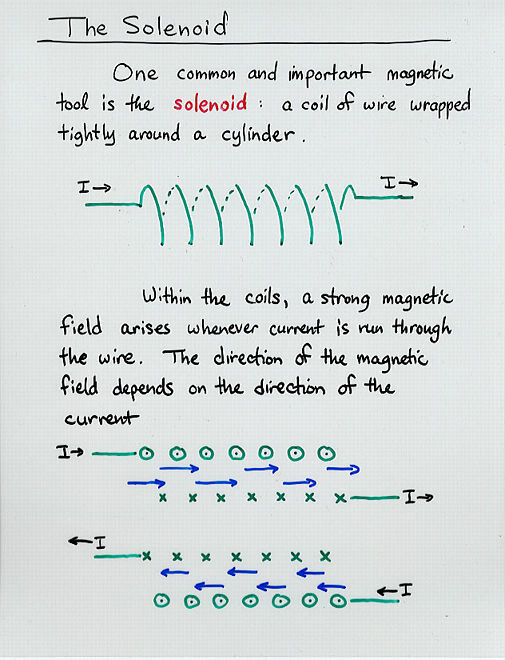 A solenoid is a long coil of wire wrapped in many turns. 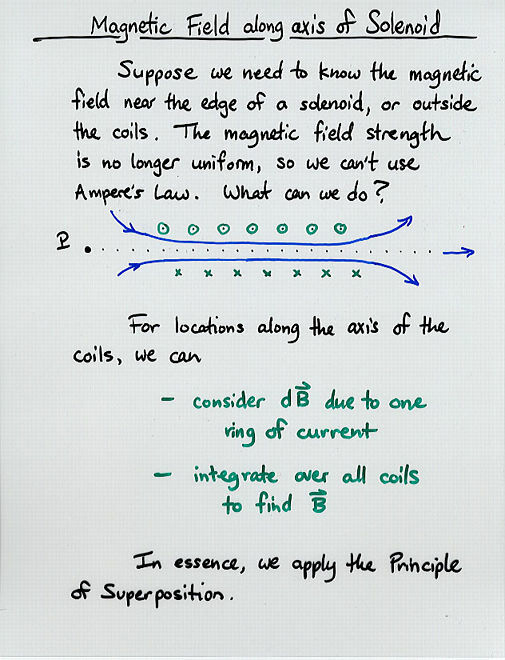 When a current passes through it, it creates a nearly uniform magnetic field inside. 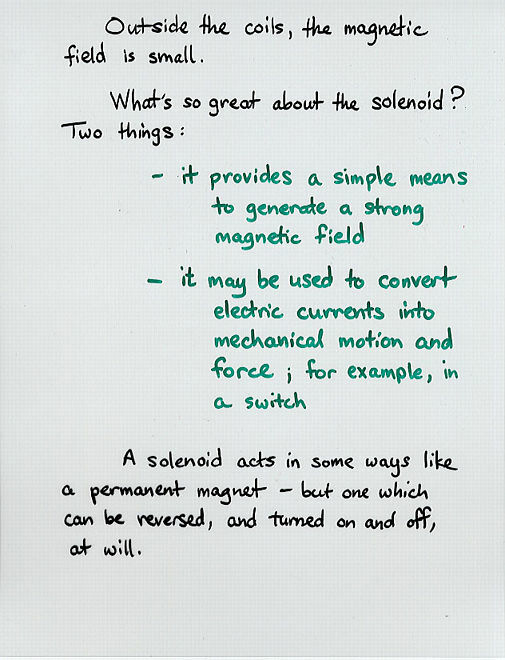 Solenoids can convert electric current to mechanical action, and so are very commonly used as switches. 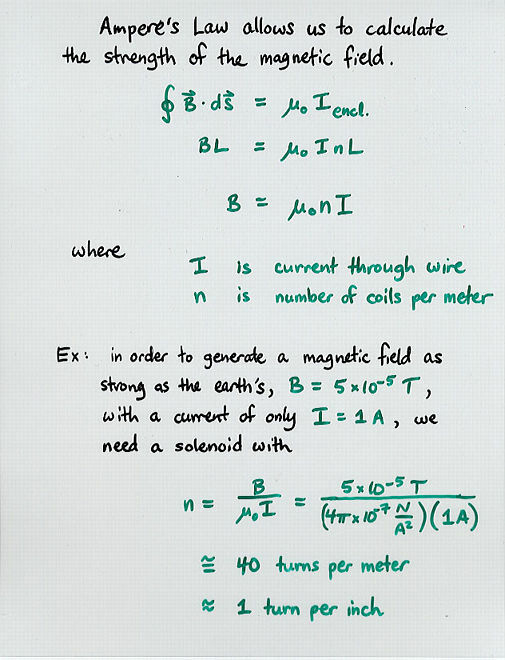 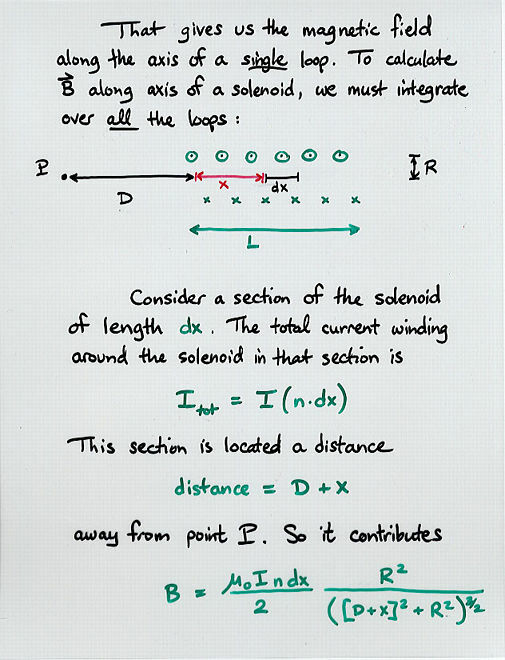 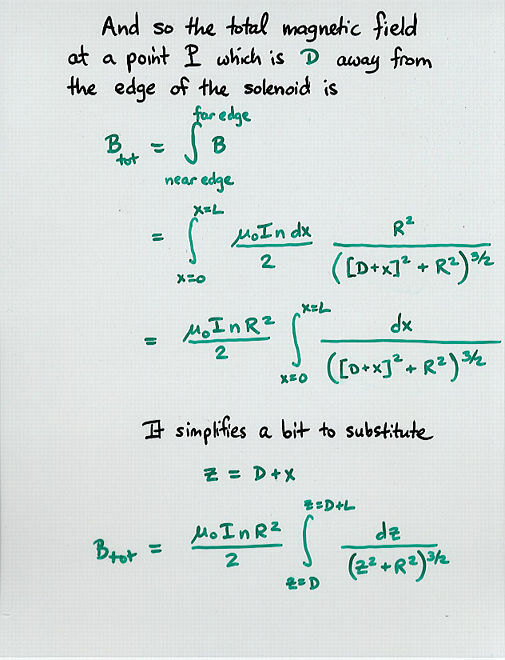 The magnetic field within a solenoid depends upon the current and density of turns. 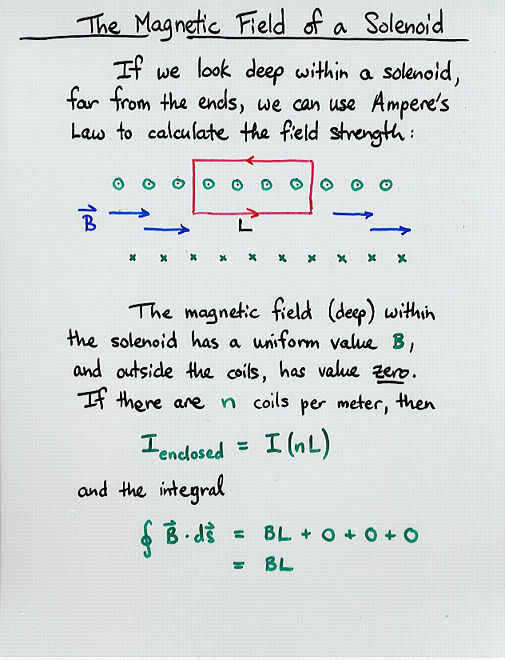 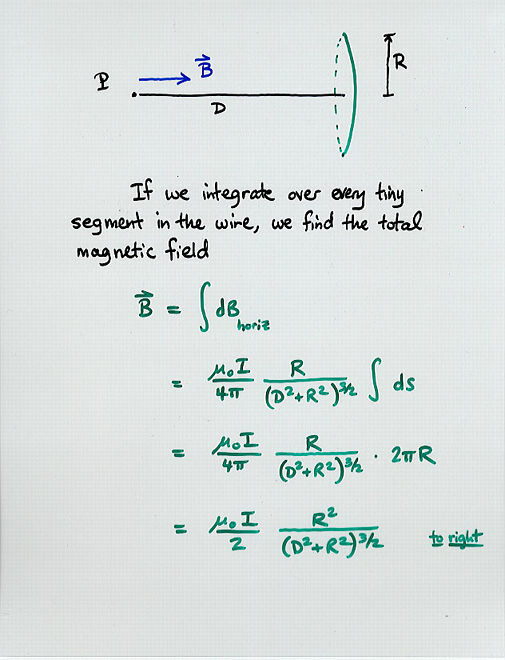 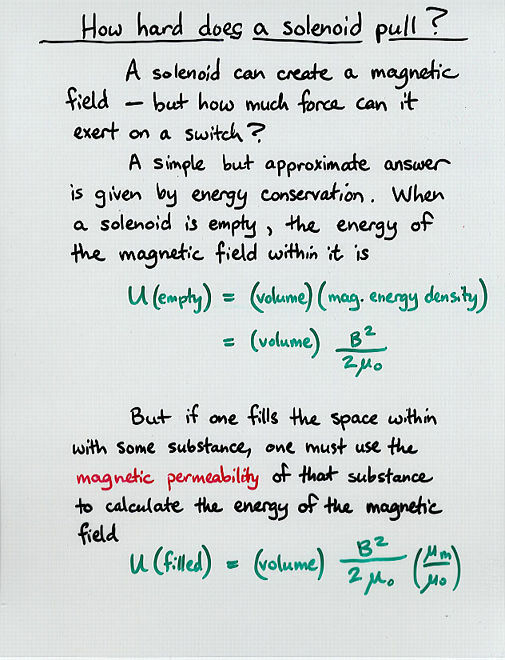 The energy density of the magnetic field depends on the strength of the field, squared, and also upon the magnetic permeability of the material it fills. 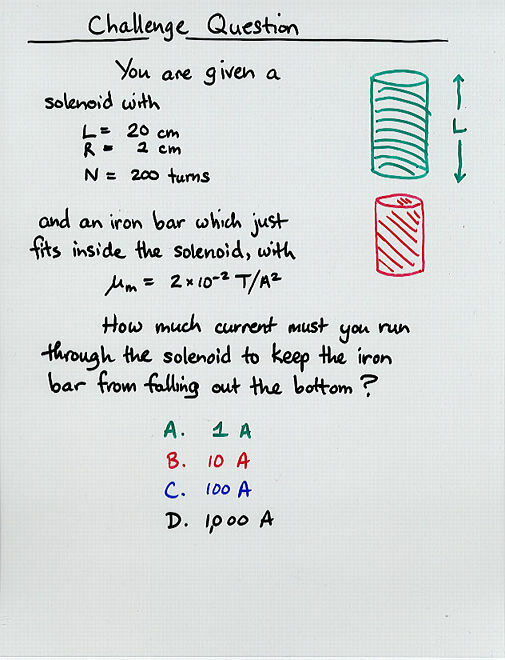 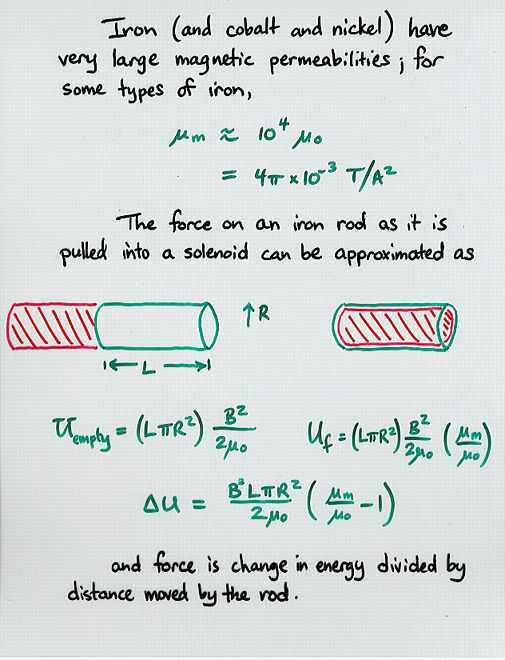 Iron has a much, much larger permeability than a vacuum. 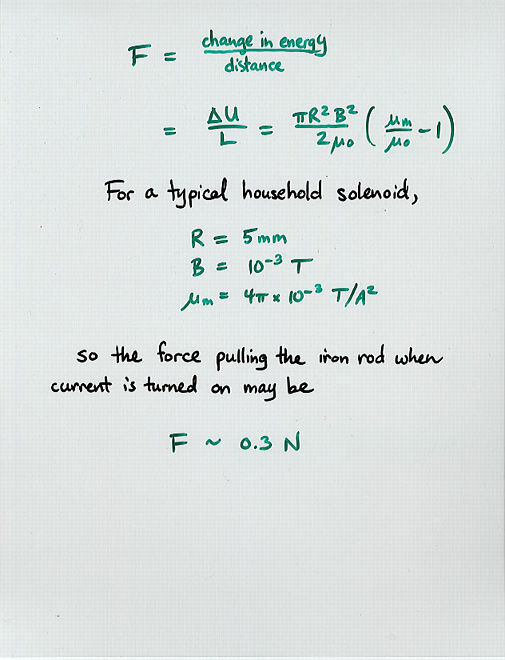 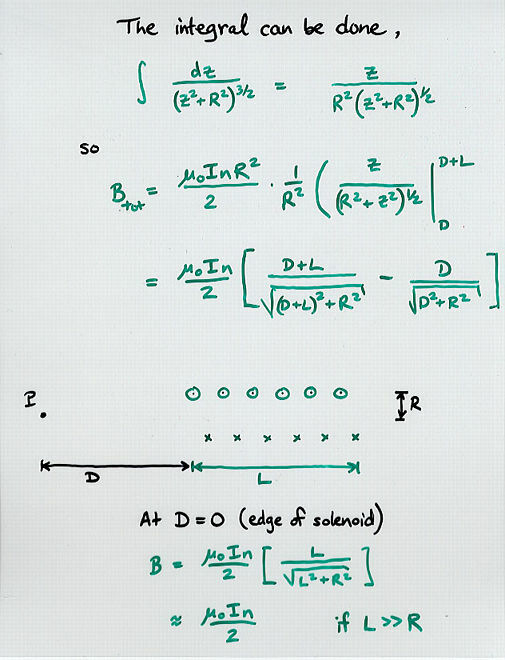 Even small solenoids can exert forces of a few newtons.